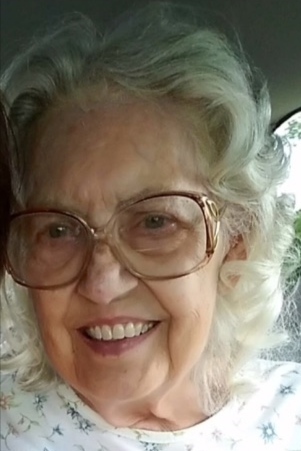 Annabelle Willey, 88, of Waldo, died early Tuesday morning September 11, 2018 at the Delaware Court Nursing Home. Annabelle was a 1947 graduate of the Radnor High School. She along with her husband, owned and operated the former Del Mar Hotel in Delaware, she was especially diligent with the everyday cleaning. She then went to work for the Delaware Schools in the cafeteria until her retirement. Annabelle was a dedicated wife, mom, and grandma. She was selfless to a fault, always thinking of others and never wanting to be in the spotlight. She enjoyed long rides in the country, especially during the fall. Camping, fishing and traveling with her family were some of her favorite things. She will be remembered for her care of her family, Annabelle was like a second mom to her grandaughter. Annabelle loved Christmas time and always made it special for everyone. Her usual breakfast of cookies and coffee with Clyde will be missed. Funeral services will be held Friday September 14, 2018 at 2:00 pm at the Stofcheck-Ballinger Funeral Home in Prospect, Pastor Sarah Schaaf will officiate, burial will follow in the Prospect Cemetery, friends may call two hours prior to the service beginning at noon at the funeral home in Prospect. It breaks my heart to lose such a wonderful lady. I feel so blessed to have met her and known her for the short time that I did. My sincerest condolences to the family. May God bless you with everlasting sweet memories and love for her. So very sorry to hear of the passing of Grandma and Mom Willey. I am so glad I got to know her she was a wonderful lady and great Grandma to Logen . There are many wonderful memories to cherish. prayers and thoughts with you !